Ifugao Representative Teddy Baguilat Jr. on Wednesday said he failed to vote to save the Commission on Human Rights' budget for 2018. Ealier, the Congress gave the Commission on Human Rights (CHR) a P1,000 budget for next year. 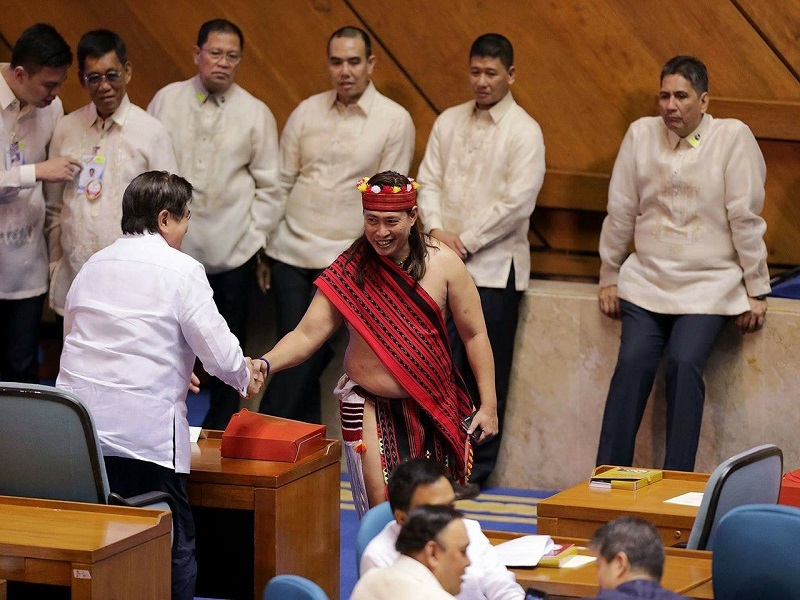 Baguilat said the failed to cast his vote because he stepped out of the plenary right before the voting, preventing him from casting his vote. "Disappointed we gave CHR a 1K budget. Disappointed in myself I was not around to vote against d [sic] cut. I apologize 2 d [sic] Filipinos," Baguilat wrote on his Twitter. The House of Representatives on Tuesday, with a vote of 119-32 approved 1-SAGIP party-list Rep. Rodante Marcoleta's motion to reduce the 2018 proposed budget of the CHR to P1,000. Baguolat, meanwhile, said that he "should have anticipated" that this move would happen. "Should have not stepped out of the plenary and meet constituents. Unforgivable," he said. "No excuse. Lesson learned for me and my staff. I should have asked them to prompt me a nominal voting was taking place. Again, deeply sorry," he added. Under nominal voting, lawmakers are asked to cast their votes one by one. In contrast, a viva voce — the other form of voting — only requires lawmakers to shout out their votes through an "aye" or "nay" (yes or no). The vote with the much louder response wins.